Our next concert will take place on 7 April 2019. 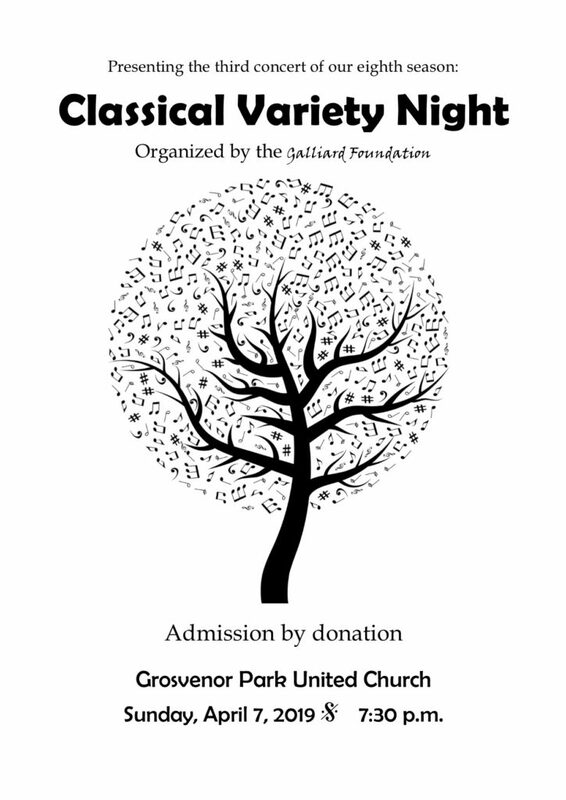 It will take place at 7:30 pm at Grosvenor Park United Church. Admission is by donation. For more information, please drop us a line, or check out our Facebook Page.